Christmas is fast approaching and is only days away. Nothing says Christmas like the smell of cookies baking in the oven. You can never get enough Christmas cookies. So far, I have made a double batch of chocolate chip cookies, 3 batches of frosted sugar cookies, candy and almond rice krispies treats and then a giant batch of these delicious almond joy bites! Why so many cookies you ask? Well, growing up in a farming family the holidays weren't just a time for us to be with family, but also our extended work family. Whether it was sharing a turkey or ham with employees, a holiday work lunch, or handmade Christmas goodies the holidays were always a time for us to share our appreciation for our employees, too. They spend long hours tending to our farm and truly become part of our families. By this time you should all be in the Christmas spirit! Have you finished decorating yet? We just put our lights up on the house last night and finished the tree this morning so I think I am as ready as I am going to be. I even have most of the presents wrapped and under the tree. I have more Christmas Giveaways to spread my Christmas cheer to you all! So the last two giveaways where over Facebook and Instagram...this time I am switching it up a little! This is my chance to say "Thanks" and give back a little something to you and your families during this holiday season. 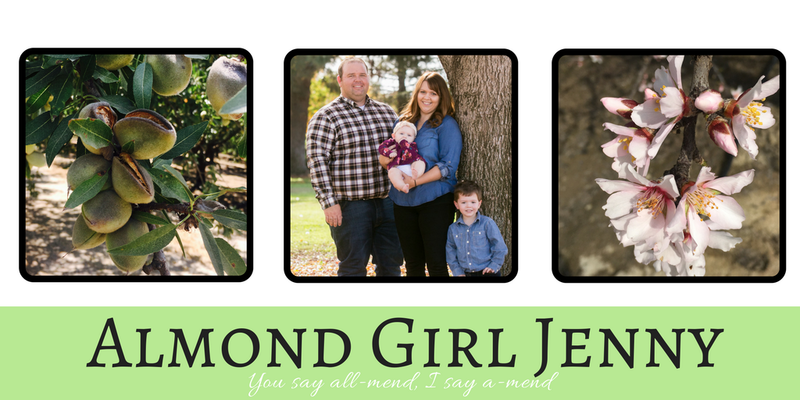 The first giveaway was on Facebook and I thought it would be fun to highlight other aspects of social media. So this time you need to follow along on Instagram to be eligible. 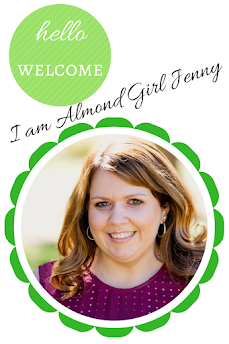 Giveaway #2 Qualifications; Follow Almond Girl Jenny on Instagram Like this post on Instagram Comment with your favorite nutty treat! I will pick a random winner on Sunday, December 11th and announce on INSTAGRAM. The countdown to Christmas has begun! Thanksgiving has come and gone and advent has begun in our household. While it seems like it's already been the Christmas season if you have gone to any store in the past month, it is NOW officially the Christmas season. Last year, I did a Christmas giveaway to my followers and readers and I am back at it again! I value each and every one of you and appreciate you all who read my blog and follow me on social media. Without you, I wouldn't be able to do what I love to do. To show my appreciation I will be having a series of giveaways for the next few weeks until Christmas. This is my chance to say "Thanks" and give back a little something to you and your families during this holiday season.